Romulo Delgado is a classically trained tenor and a world music multi instrumentalist. He was a region finalist at the Hans Gabor Belvedere International Opera competition in Vienna, Austria and trained in Toronto at the Royal Conservatory Music. His versatility as a performer has enchanted audiences all over North America and Europe. 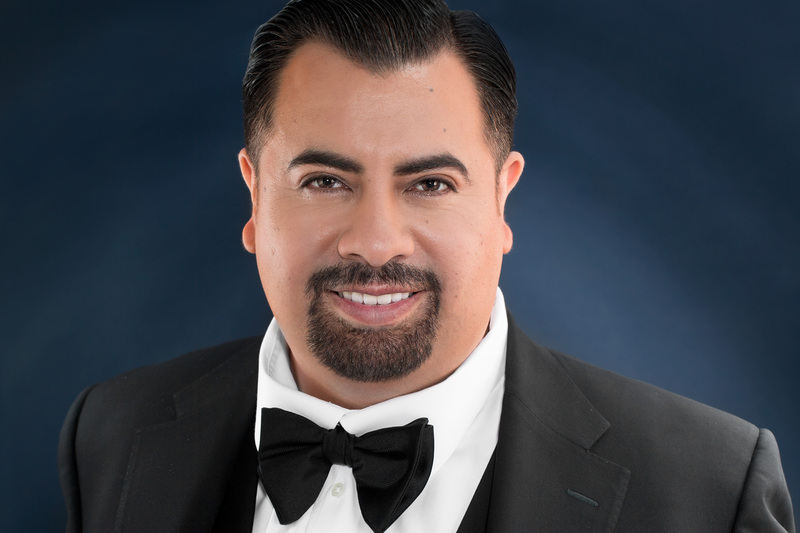 His operatic roles currently include Pinkerton in Puccini’s Madama Butterfly, Alfredo in Verdi’s La traviata, Don Jose in Bizet’s Carmen, The Duke of Mantua in Verdi’s Rigoletto, Edgardo in Donizetti’s Lucia di Lammermoor, Idomeneo in Mozart’s Idomeneo, Mario Cavaradossi in Puccini’s Tosca, Macduff in Verdi’s Macbeth, Rodolfo in Puccini’s La Boheme and Riccardo in the Canadian premiere of Verdi’s Oberto. Also in demand as a concert tenor soloist, his concert repertoire includes Beethoven’s Symphony No. 9, Gounod’s St. Cecilia Mass, Dubois’ the seven last words of Christ, Mendelssohn’s Elijah, Handel’s Samson, Puccini’s Messa di Gloria, Verdi’s Requiem and Handel’s Messiah. 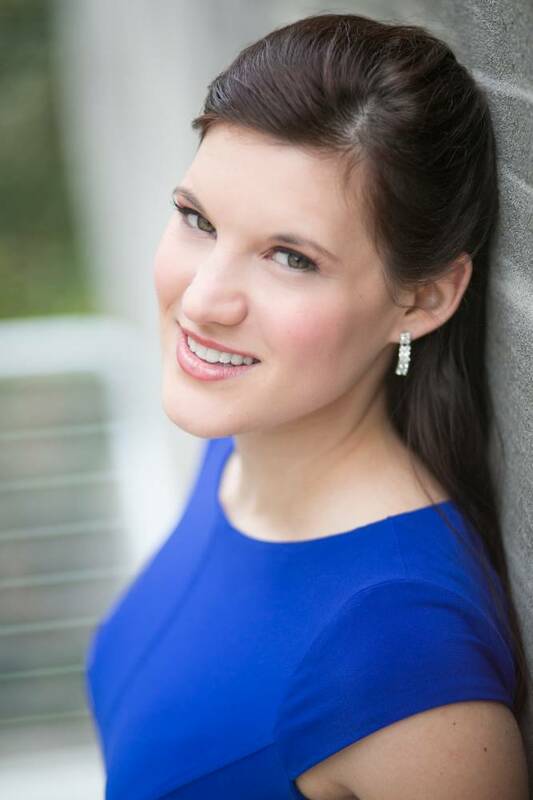 Canadian soprano Shantelle Przybylo is a recent graduate of Washington National Opera’s Domingo-Cafritz Young Artist Program. At WNO, she sang Pamina and Papagena in The Magic Flute, Giannetta in L’Elisir d’Amore, Gretel in Hansel and Gretel, as well as Zerlina in Don Giovanni, a role which she reprised at the Green Mountain Opera Festival in summer 2013. Recent engagements include a concert performance with the Baltimore Symphony Orchestra as well as the role of Felicity (Fiordiligi) in A Little Too Cozy (Così fan tutte) with the Banff Centre’s Opera in the 21st Century program. Ms. Przybylo has also been seen in such roles as Arminda in La Finta Giardiniera, Miss Titmouse in Too Many Sopranos, Rose in Street Scene, Edith in the Pirates of Penzance, and Nataliya in Oksana G. In 2016, Ms. Przybylo made her European debut singing Fiordiligi in Così fan tutte with the Nederlandse Reisopera as well as a performance at the Concertgebouw. She is a Regional finalist of the Metropolitan Opera National Council Auditions and winner of the Prix Jeune Espoir Lyrique Canadien in the Jeunes Ambassadeurs Lyriques competition in 2012. 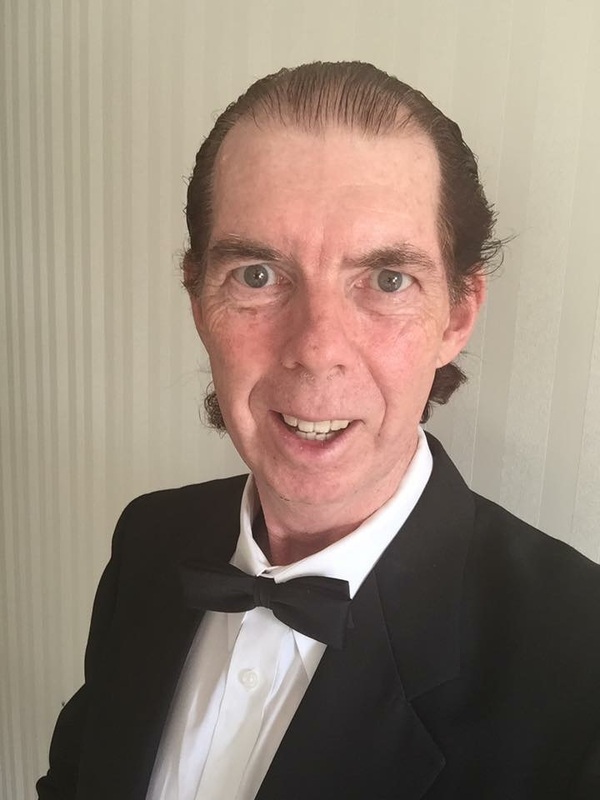 Christopher Dunham is a native of Niagara Falls, Ontario and has captivated audiences with his lyric baritone voice across Canada and as far away as the Adriatic coast of Italy. 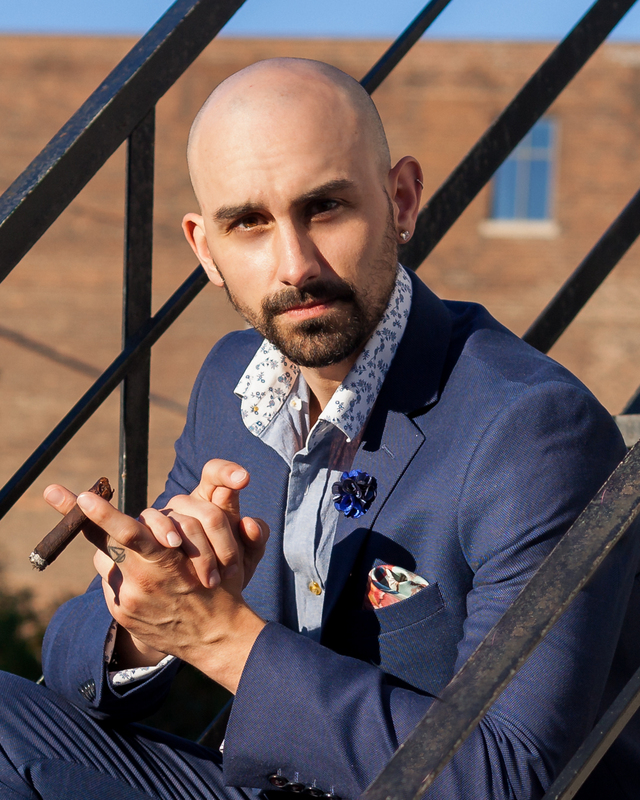 A recent graduate from L’Atelier Lyrique de l’Opèra de Montréal, his roles include: Figaro in The Barber of Seville, Mercutio in Roméo et Juliette, Escamillo in Carmen, Don Giovanni, Eisenstein in Die Fledermaus, Dandini in La Cenerentola, Schaunard / Marcello in La Bohème and the Conte d’Almaviva in Le Nozze di Figaro. Recently, Christopher was soloist in Handel’s Messiah with the McGill Chamber Orchestra and in Beethoven’s 9th with the Société Philharmonique de Montréal. He performed the role of Schaunard in Opèra de Montréal’s production of La Bohème. Included in his upcoming engagements are the Corporal in La Fille du Regiment with Atlanta Opera, Argante in Pacific Opera Victoria’s new production of Rinaldo, Escamillo (Carmen) with Opéra de Montréal, with more engagements to be announced later this year. Christopher is a two year recipient and winner of the Jaqueline Desmarais Foundation For Young Canadian Opera Singers and the Jeunesses Musicales du Canada’s Young Mentorship Prize. Soprano Sara Papini, dazzles audiences internationally. Her operatic performances include, Nedda (Pagliacci), Musetta (La Bohème), Adina (L’Elisir d’Amore), Norina (Don Pasquale), Gilda (Rigoletto), Contessa (Le nozze di Figaro) and Donna Anna (Don Giovanni). Highlights include Tina in Jonathan Dove’s Flight, a New York City premier under the baton of Metropolitan Opera conductor Joseph Colaneri and Silvia in Mascagni’s Zanetto,conducted by Metropolitan Opera conductor Paul Nadler in Montreal. She made her Russian debut with the Primorsky Krai Philharmonic Orchestra in Vladivostok, Russia and has performed in Tel Aviv, Israel with the Israeli Chamber Orchestra. 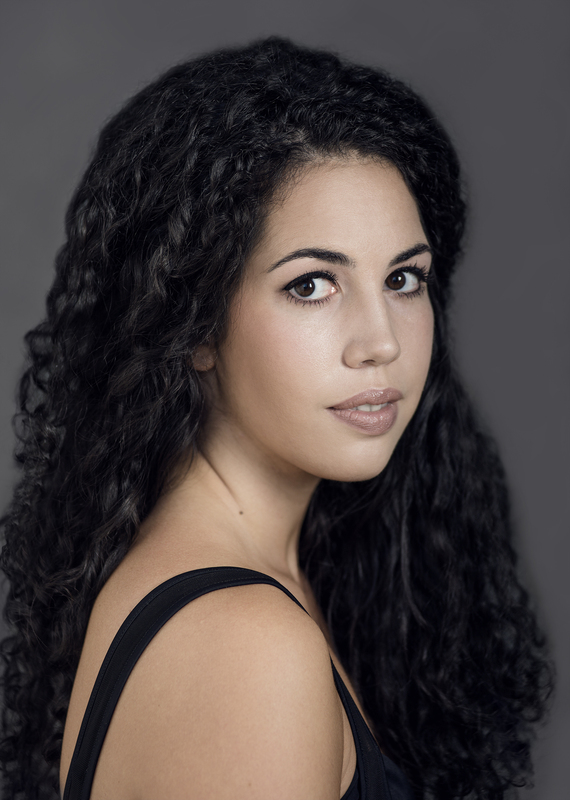 This past fall, Ms. Papini debuted as Mimi (La Bohème) with Opera York and will perform with Southern Ontario Lyric Opera as Donna Anna in their production of Don Giovanni in the spring. Ms. Papini has been a feature performer for such dignitaries as Princess Marconi, her Royal Highness Prof. Li of Manchurian Empire China, former Prime Minister Enrico Letta of Italy and the former Prime Minister of Canada, Stephen J. Harper. In 2017, Ms. Papini opened her own music school, Aria School of Music, where she joins her faculty in teaching voice and piano.She is delighted to be returning to the Mississauga Symphony Orchestra after performing Micäela in their 2017 production of Carmen. Please visit www.sarapapini.com for details of upcoming performances. David Diston’s rapidly developing artistry is quickly gaining him recognition as a ‘sonorous baritone’ (Huffpost Alberta) with ‘full-throated and characterful singing’(Calgary Herald). 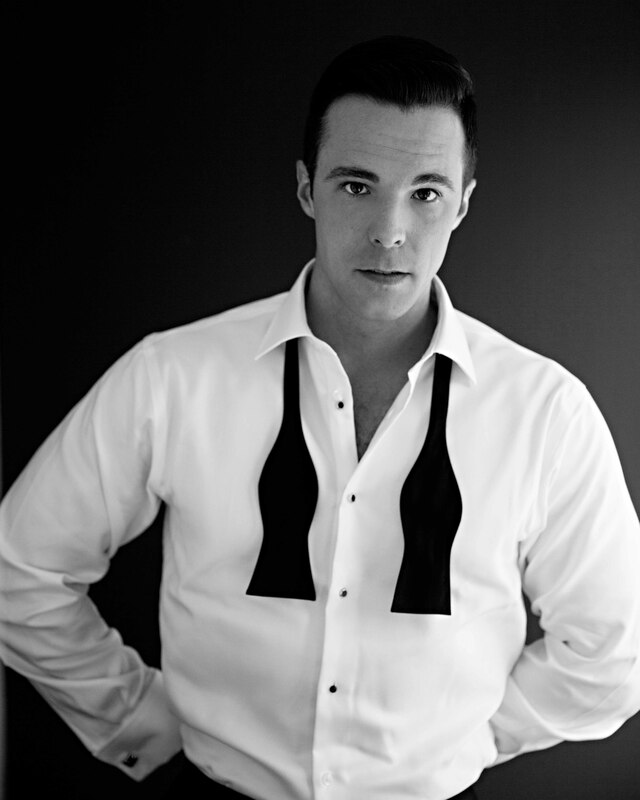 A 2016 graduate of the Calgary Opera Emerging Artist program, Mr. Diston’s professional credits include Frederic (Lakmé), Pish-Tush (The Mikado), Moralès and Escamillo (Carmen), Count Almaviva (Le nozzle di Figaro), des Grieux (Le portrait de Manon), L’horloge and Le chat (L’Enfant et les sortilèges), Schaunard (La Bohème), Dr.Mann in the World Premier of Vehar’s SHOT, and William Dale in the Canadian Premiere of Putt’s Silent Night.David was recently invited home to Calgary Opera as Ping in their acclaimed Spring 2017 production of Puccini's Turandot. On the concert stage, Mr. Diston recently made his Toronto Symphony Orchestra debut as the baritone soloist in C. Nielsen’s Symphony No. 3, and his debut with the Calgary Philharmonic Orchestra as part of their Orchestra Moves concert series. Further concert credits include The Messiah (Handel), Liebeslieder & Neue LiebesliederWaltzes (Brahms), The Armed Man: A Mass for Peace (Jenkins), Fantasia on Christmas Carols (VaughanWilliams), Seven Last Words of Christ (Dubois), Requiem (Fauré), Lord Nelson Mass (Haydn),and Requiem (Mozart). Mr. Diston was a 2018 winner of the Clifford Poole Vocal Competition, Semi-Finalist in the 2018 OratorioSociety of New York's Solo Competition, and winner of the 2018 Toronto MozartVocal Competition. David Diston is also a proud and appreciative recipient of a 2017-2018 Canada Council for the Arts Professional Development Grant. Gabriel was exposed to the art of music from avery young age. His father Victor Sanchez is a composer and his grandfather,Carlos Sanchez was an opera singer. 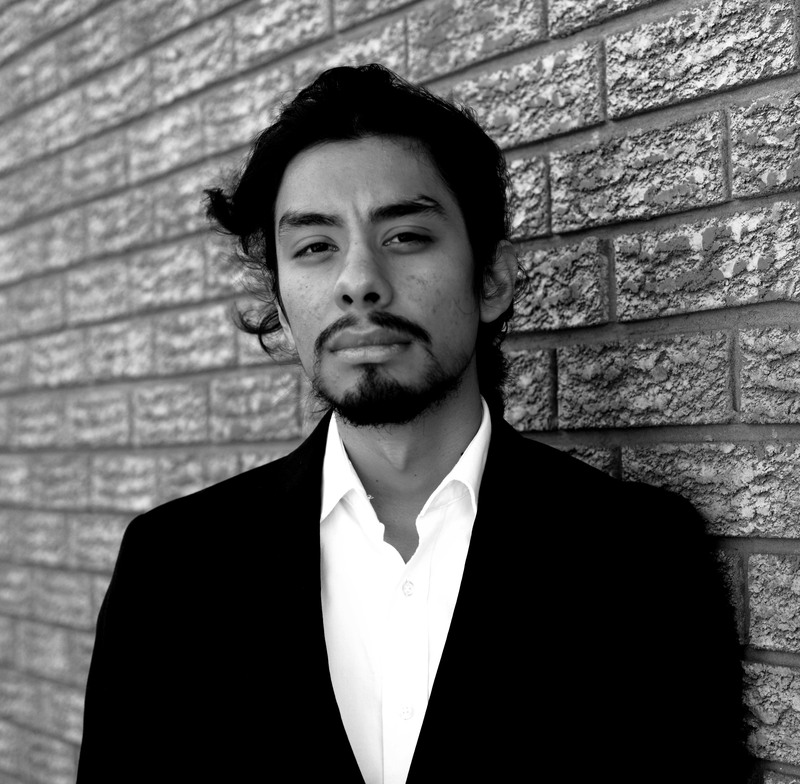 Born in Montreal, he is currently studying voice at The Glenn Gould School of Music primarily under Joel Katz. Gabriel has already performed in three operas at The Glenn Gould School: Postcard from Morocco, by Argento, La Belle Hélène, by Offenbach, and El Gato con Botas, by Montsalvatge. He has also performed in two opera productions for the Aspen Opera Center: La Bohème, by Puccini, and Béatrice et Bénédict, by Berlioz. Canadian baritone Norman E. Brown is widely praised for his rich vocal colour and impressive range of repertoire. Reviewers and audiences consistently speak of “his full, rich voice – a pleasure to the ear” and a“voice .. extremely well projected” and “ “Norman E. Brown as the Don (Giovanni) has a large and Sonorous baritone voice, well-suited to the role”. Norman has and continues to perform extensively in Toronto singing as a soloist with Opera in Concert, Toronto Opera Repertoire, Opera By Request, Tryptych Opera & Concert, York Opera, No Strings Theatre,Cosmopolitan Opera, Summer Festival – Opera, Cathedral Bluffs Symphony Orchestra. Since his arrival in Ottawa in 1990 Norman has performed assoloist with Ottawa Choral Society, National Arts Centre Orchestra, Opera Lyra,Pellegrini Opera, OperOttawa, Ottawa Baroque Ensemble. Norman is a regular performer in Italy singing the roles of Don Magnifico in Rossini’s opera “Cenerentola” and as Speaker-Sarastro in Mozart’s “The Magic Flute“ and as Assistant Conductor on “Cosi fan tutte” and ”Suor Angelica”. As lead baritone with Stara Zagora State Opera in Bulgaria, Norman has sung the roles of Sharpless and Bonze in Puccini’s opera “Madame Butterfly” and the title role in Mozart’s "Don Giovanni”. 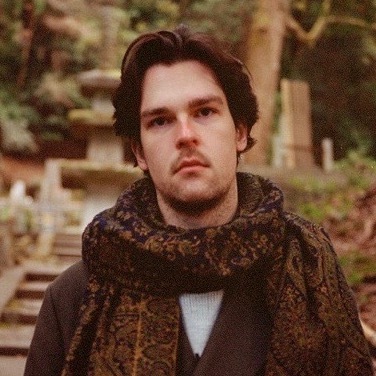 Recent performances include his debut in Japan singing Benoit/Alcindoro with Opera Wakayama, singing the role of Oroveso in Bellini’s“Norma” in Ottawa and singing the title role of “Don Giovanni” with Opera By Request on tour. A strong upbringing in choral repertoire has prepared tenor Justin Maisonneuve in discovering his unique and individual operatic voice. The baritone Jason Howard said that “(Maisonneuve) communicates the meaning of songs very eloquently and with a maturity of expression which belies his tender age.” Some of his honours include The Robin Rae Memorial Scholarship and First Place at The Ottawa International Chamber Music Festival’s Rising Star Competition (2014). Furthermore, while touring France with Les ensembles vocaux De La Salle, Maisonneuve performed at the Notre Dame de Paris and Le Châteauneuf-du-Pape. A native of Embrun, ON, the rising vocalist and composer just graduated from The Glenn Gould School, part of the Royal Conservatory of Music, where he studied with Jean MacPhail and Peter Tiefenbach. During this time, he has sung with the Glenn Gould School’s opera chorus for Postcard from Morocco (Argento), El Cato Con Botas (Montsalvatge), Cendrillon (Viardot), Hensel und Gretel (Humperdinck), and Die Fledermaus (Strauss). Recently, Maisonneuve has sung Parpignol, La Bohème (Puccini), with Opera York. Maisonneuve is currently a section lead. 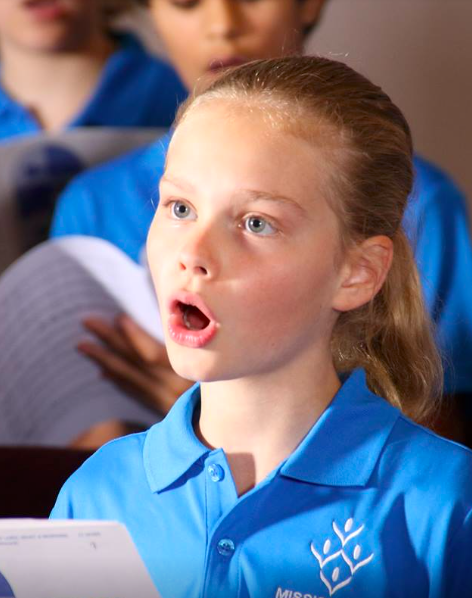 For almost 40 years, the Mississauga Children’s Choir has been offering the highest calibre of music education to children ages 4 - 17 in Mississauga. With weekly rehearsals, workshops and regular performances, MCC offers an enriched program for children to learn to sing at the highest level while expanding their community of friendships. This spring, the Senior Choir will be performing at Carnegie Hall in New York City. For more information on joining the choir, please visit mississaugachildrenschoir.com. Regular ticket prices for La Bohème start at $50. To purchase, contact the Living Arts Centre box office at: 905-306-6000, or visit them here. Complimentary underground parking is included with every ticket purchase.